The Shanghai stock market will be closed for a week. Meanwhile we got interest rate statements from Australia tomorrow and England on Thursday. In other news, I'm not only classified as a crappy trader now, but I'm now GAY. I'll have you know, that I am the sexiest stock trader on the internet. I would post a pic of myself, but I don't think people would believe it's me, or it would be a total waste of time. 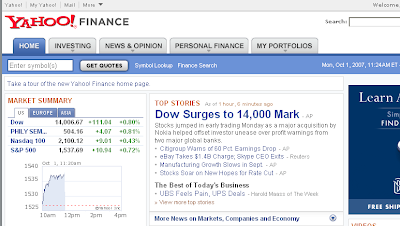 Oh,,,the Dow is back at 14,000.....The market is going to crash,,,the sky is falling.